At least 22 people have been killed throughout Iraq as multiple bombs were set off throughout the country, Reuters cites police as saying. 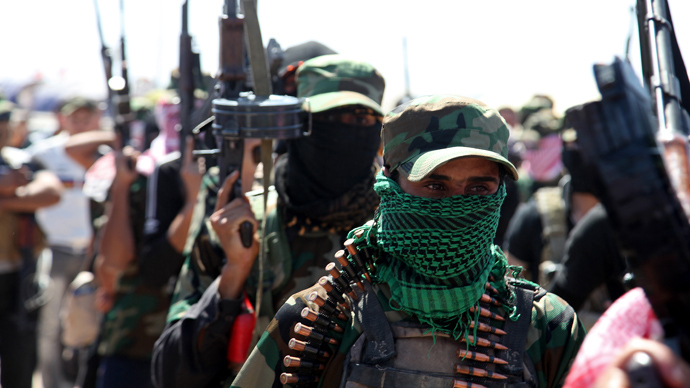 In one of the attacks, six people were killed when a suicide bomber detonated himself amidst a group of government-backed Sunni fighters who were picking up their paychecks in the eastern city of Fallujah, sources told the agency. Five police officers were killed when an improvised explosive device (IED) hit a federal police convoy in the town of Baiji, located some 180 km north of the Iraqi capital Baghdad. 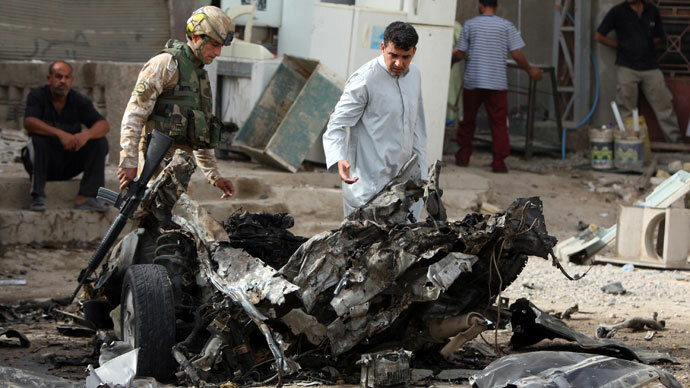 A separate car bomb north of Ramadi killed another two policemen and wounded 10 more. 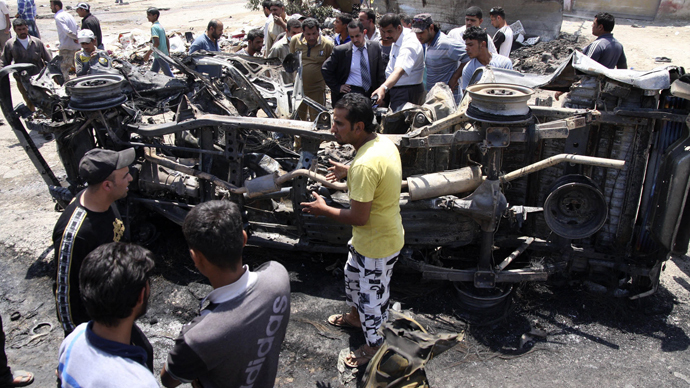 In northeastern Baghdad, a car bomb targeted a Shiite neighborhood, killing at least three and wounding dozens, hospital sources said. The bombs are the most recent in a wave of violence that has swept over Iraq, with over 200 being killed in bomb attacks and gun battles over the last week. In the month of April, 460 people were killed and 1,219 were injured AFP cites security and medical sources as saying, raising the specter of all out sectarian conflict in the war-torn country. 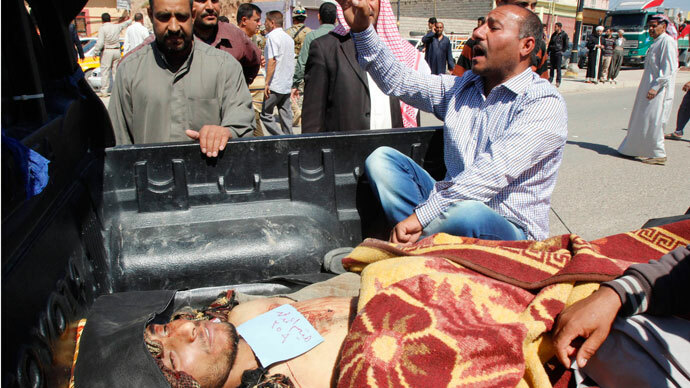 The considerable uptick in bloodshed was sparked on April 23 when security forces attempted to arrest suspected insurgents at a Sunni Muslim protest camp in the northern city of Hawija, inciting violent clashes which left scores dead and injured. Sunni Muslims sheiks who had previously called for restraint are now urging resistance against what they perceive as a government crackdown on their community. They have further demanded the resignation of Shia Prime Minister Nuri Maliki, who has been accused of keeping Sunnis out of top positions in the government.